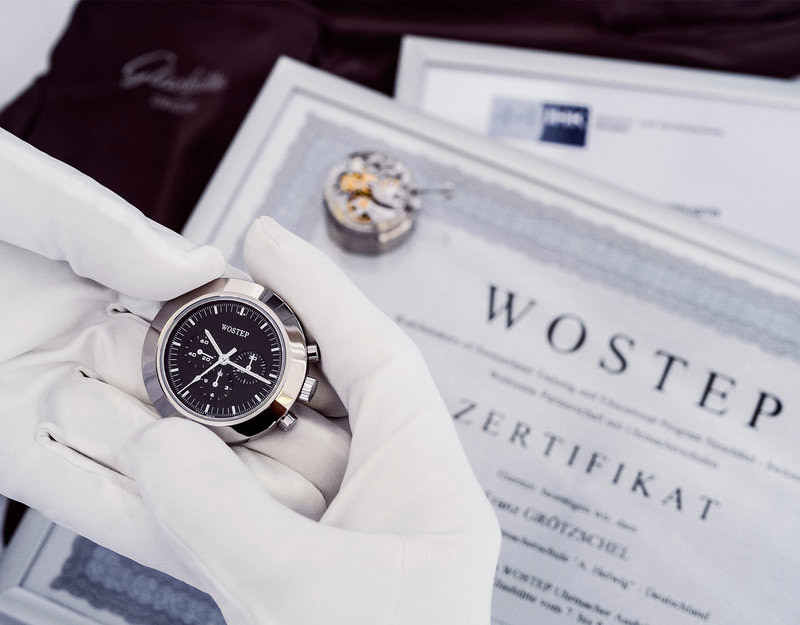 While visiting a modern watch manufactory, you might be surprised discovering that most of the wachmakers and toolmakers are not old bearded men but young people, men and women. Dexterity, focus and determination are some of the skills that are needed to excel. Thanks to the continued success of mechanical watches, the request for trained watchmakers keeps growing. Every year, many students take the challenging studies that will train them as watchmakers and toolmakers, studies like the ones offered by the Glashütte Original's Alfred Helwig School of Watchmaking. Established in 2002, the watchmaking school is entitled to Alfred Helwig, brilliant watchmaker and inventor who designed the first flying tourbillon in 1920. Rather than being supported by a bridge on the dial side and a bridge on the movement side, the flying tourbillon is cantilevered, i.e. is only secured to the plate on one side so offering an unobstructed view of the mechanism on the other side. 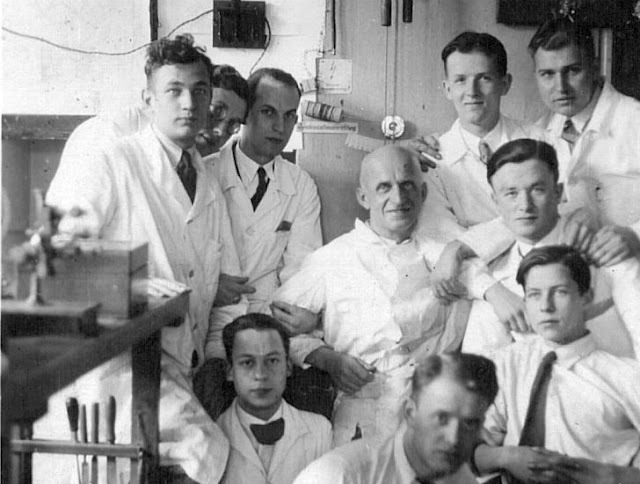 Alfred Helwig worked as a teacher at the German School of Watchmaking in Glashütte, where he later became a headmaster, from 1913 to 1944. The continuous transfer of knowledge along with comprehensive practical training have always been one of the pillars of the Glashütte watch industry and Glashütte Original is committed to maintain this tradition. The school is housed in a building — which shares with the German Watch Museum — of historic significance. In fact, it was here that the German Watchmaking School of Glashütte was originally founded in 1878. While maintaining a link with the past, the school is projected into the future thanks to state-of-the-art facilities and well-equipped classrooms. 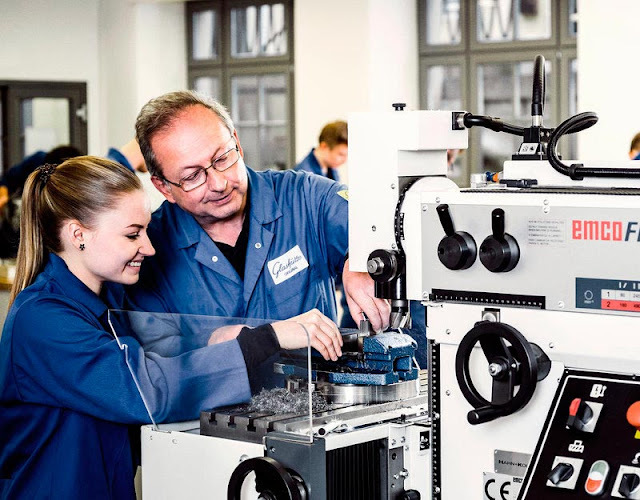 Every year, only 12 future watchmakers and 3 to 4 future toolmakers — also needed because Glashütte Original produces lot of the tools used in the manufactory — start a training path which combines practice and theory. With almost a 50/50 split between men and women, the age of the students ranges from 16 to 30 years. Established in 2002, the Glashütte Original's Alfred Helwig School of Watchmaking is entitled to the brilliant watchmaker and inventor who designed the first flying tourbillon in 1920. 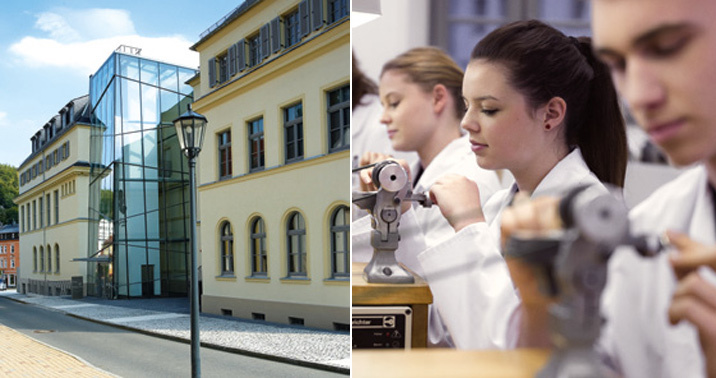 The school is a member of the Swatch Group's international network of Nicolas G. Hayek Watchmaking Schools.